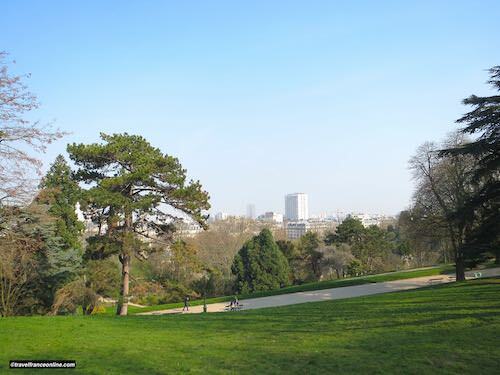 The Parc des Buttes Chaumont is the third largest public park in Paris. It spreads on a hill once known as Mont Chauve (barren hill) in the iconic district of Belleville. The Mont Chauve indeed remained semi deserted until the mid 19th century. A few farms and windmills were scattered among lime, clay and stone quarries. The Chemin des Moulins (Windmills Lane), the current Rue de Clavel, was the only access. All changed in the 1860s when Emperor Napoleon III commissioned Alphand with its rehabilitation. Alphand transformed the 25-hectare barren hill into a 25-hectare luxuriant park. He filled the old quarries, imported tons of topsoil and planted hundreds of trees and bushes and created twisty lanes, paths, stairways and footbridges. 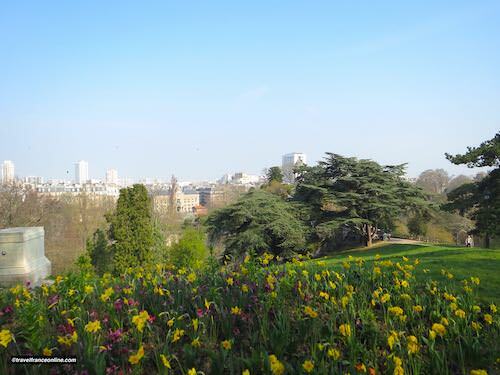 The Parc des Buttes Chaumont is still to this day the park with the largest diversity of plant species. This abundance of foliage and shading also encourages a multitude of bird species to nest and reproduce without fear of predators. The Ile du Belvédère marks the centre of a 1.5 hectare man-made lake fed by two streams. 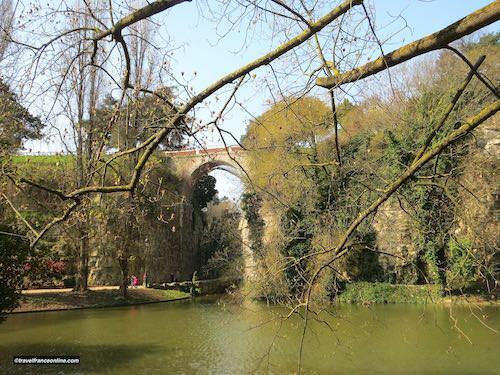 A 65m long metallic suspension bridge links to a twisty path that leads to the Temple of the Sybil or Temple of Vesta. The neo-Greek edifice, built by Davioud, is a replica of the Tivoli near Rome. Amazingly, this temple turned the public park into the chore area of the Parisian esotericism of the mid 19th century. Many legends indeed circulated about its purpose, but also about the underground quarries. People indeed believed that they led to ancient places of worship! Fact or fiction? who knows! A second bridge links the park to the Ile du Belvédère. It became known as Pont des Suicides, and you can easily guess the tragic origin of its name! The ancient quarries were filled, but their entrance was converted into a man-made grotto and cascade that gushes down the wall. Water then flows into a series of small ponds interconnected by flat stones. You'll have to skip from a stone to another to reach the exit. It's quite fun! Man-made stalactites, added to the 15m high ceiling, recreate the features of a genuine grotto. The effect is quite impressing and beautifully illustrates the landscape-architect's creativity and the masons' skill. The now disused Petite Ceinture was a circular line built in the mid 19th centur to serve the outskirts of Paris. You'll find it at the foot of the Parc des Buttes Chaumont where it disappeared in the 1124m long tunnel that runs under Belleville hill. 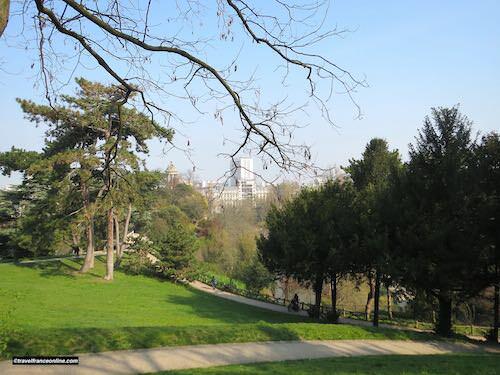 The Parc des Buttes Chaumont is stunning all year long. The extensive variety of plant species produces a stunning display of colours that evolves with the seasons. 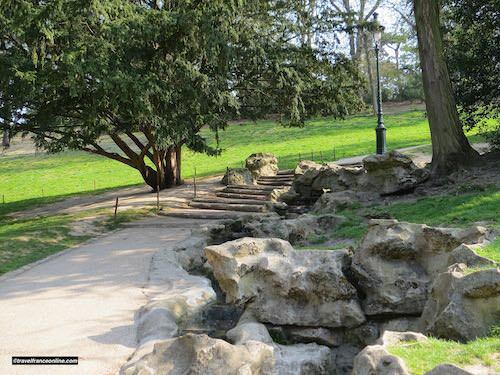 The park is an ideal place for a walk or a jog, or simply for relaxing on a bench, read a book or just watch the world go by. You'll also find three restaurants, all developed in 19th century buildings. The Pavillon du Lac was recently restored to its original appearance and converted to accommodate a restaurant and tea room that can sit nearly 130 customers. You'll find it near the suspension bridge. There are also an Italian restaurant and a guinguette in the upper part of the park. 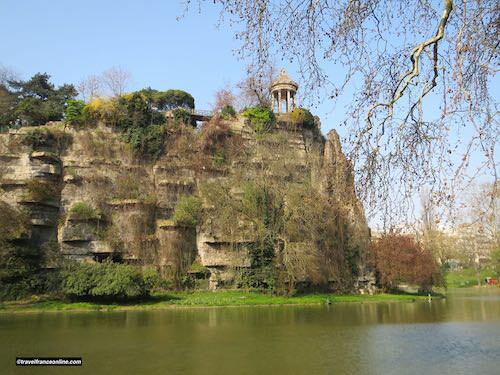 The Parc des Buttes Chaumont is definitively a Must Visit when in Paris!